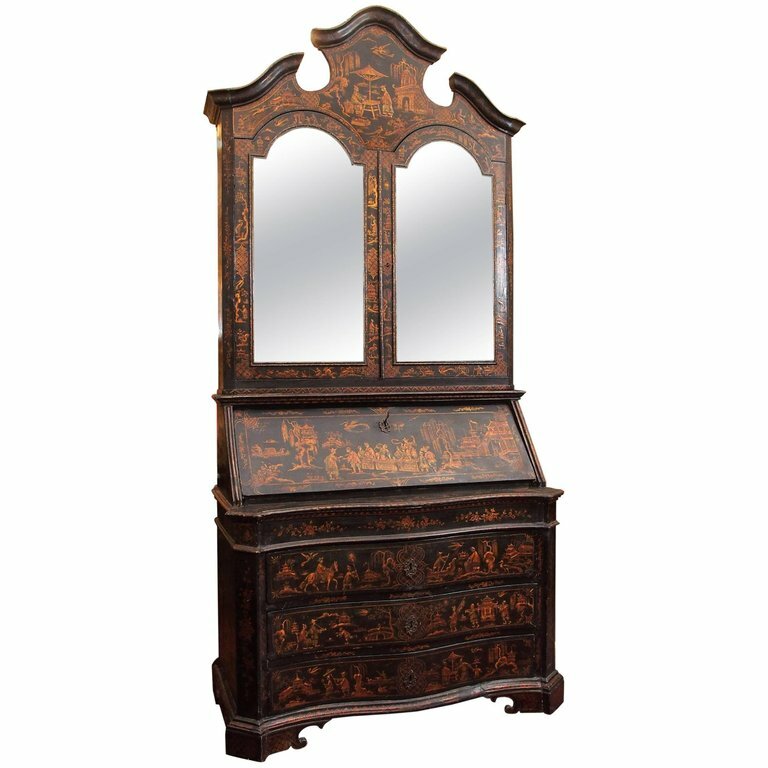 Exceptional 18th century lacquered secretary bookcase with mirrored doors. The lacquer features snake charmers and a chinoiserie scenes with children. This came from an important Palazzo in Venice. The interior has been covered in silk damask and has some staining. This is an exciting find direct from an estate in Italy and the first time offered.